Art, as concept and field of endeavor, has always been with us. Yet, paradoxically, it has been extremely difficult to have artists agree on what the term "Art" actually means. Aldam Heaton's rare and enlightening book, Beauty and Art, offers one approach to settle the issue, in a concise and compelling format. Aesthetics and beauty are critically examined and elucidated, using a surprisingly wide range of specific examples, from interior design and architecture, to textiles and clothing. 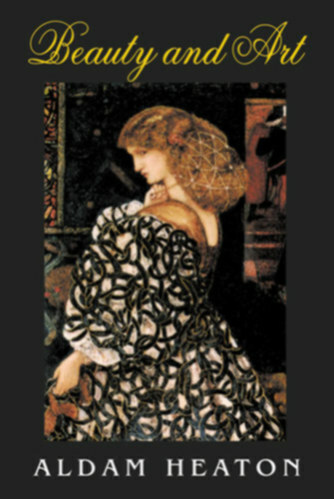 Heaton was an associate of the William Morris circle, and a friend Dante Gabriel Rossetti. Inspired by Neo-Classical style, he practiced interior design in London. As a successful artist himself, Heaton feels he can confidently give the reader his uncompromising views. Beauty and Art, originally published in 1897, is a small masterpiece of art criticism. By highlighting the elements of decor found in the average person's environment, Heaton hoped to inculcate in his readers an appreciation of aesthetics. Cultivation of refined taste in choosing beautiful things from ordinary surroundings is of primary importance to the civilized individual. Therefore, this work was intended to be a trustworthy guide for understanding the interrelationships of color, form, shape, and texture. As Heaton states in Beauty and Art: "It may safely be affirmed that there is no subject closely affecting our daily lives and habits, about which we are all so ready to confess our ignorance as that form of Art which should be our guide in the choice of dress and furniture and ornaments of all kinds; and yet there is none where a general ignorance produces a failure so disastrous in its consequences." This book challenges the myth that no one can clearly answer the question "What is Art?"